Bau is a dog headed goddess of Lagash, the ancient Mesopotamian City. The gold Bau animal necklace represents the love and respect of all forms of animals. Bau is a dog headed goddess of Lagash, the ancient Mesopotamian City. The gold Bau animal necklace is inspired by animal cave drawings and represents the love and respect of all forms of animals. At Boodi, we are animal mad! Improving the lives and welfare of animals around the world as much as we can is the aim of our game. 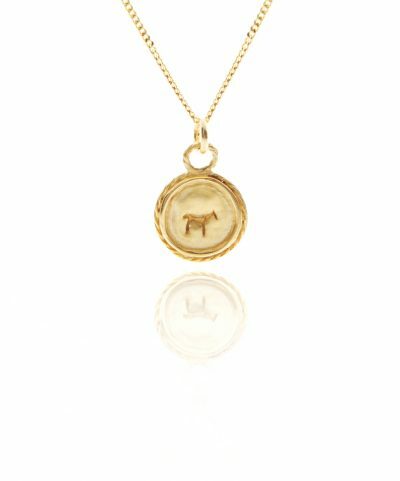 Therefore 10% of sales from each purchase of the gold Bau animal necklace is donated to Animals Asia. Visit their website https://www.animalsasia.org or the Charity section above for more information on the great work they do. The Bau animal charm is carefully hand carved using what is called the lost wax process. It is then cast from recycled sterling silver with a high quality 24 karat gold plating. The chains are also plated in the same way. Chains are not yet currently available in recycled precious metals, but we are always on the look out for new ethical developments. Recycled sterling silver and recycled solid gold options are also available. If you are having trouble finding them in our shop do contact us for help. The gold Bau animal charm measures 1.5cm in length. It is available on a 16″ or 18″ sterling silver chain. 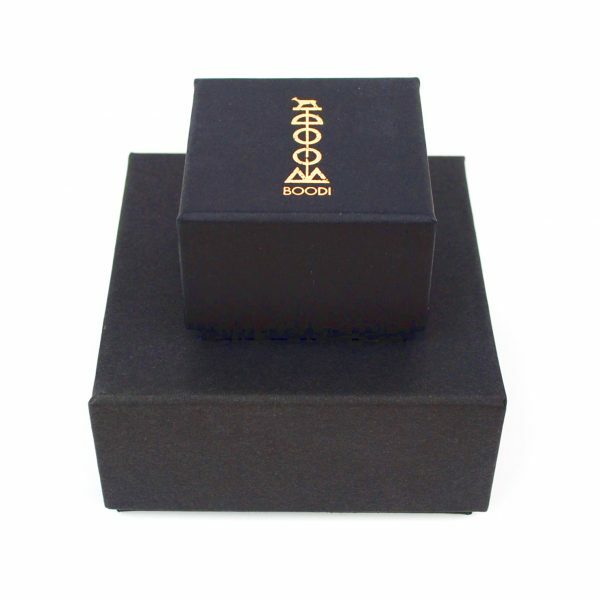 The gold Bau animal charm is carefully hand carved using the lost wax process. It is cast from recycled sterling silver with a high quality, 24 karat, gold plating. The chains are also plated in the same way. Recycled sterling silver and recycled solid gold options are also available. If you having trouble finding them in our shop do contact us for help. 10% of sales from each purchase of the gold Bau animal necklace is donated to Animals Asia. Founded in 1998, Animals Asia work to end the barbaric bear bile trade, which sees over 10,000 bears kept on bile farms in China, and many suffering the same fate in Vietnam. Animals Asia has rescued over 500 bears, caring for them at its award-winning bear sanctuaries.